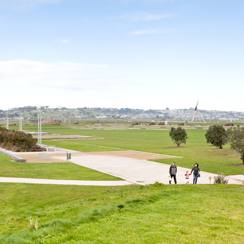 ​Develop parks which optimise environmental and economic benefits, and use resources efficiently. Designs should incorporate innovative, best practice and robust solutions that are cost effective to construct, maintain and renew. All designs should be resilient and sustainable, safeguarding the environment for the future.